Paul Gleeson who hails from Limerick in Ireland is no stranger to adventure and was one ofour inaugural speakers at FEAT Canada in 2011. 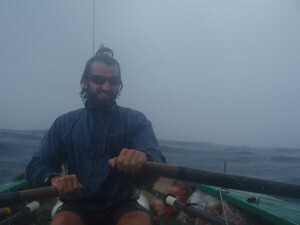 Having cycled across Australia from Perth to Sydney, Paul’s next adventure took him from land to ocean and a quest to row 2,500 miles across the Atlantic Ocean. After 85 days on the open ocean in a little rowing boat, Paul and his rowing partner Tori Holmes completed their epic voyage when they rowed into Nelson’s Dockyard on the Caribbean Island of Antigua. Paul’s next adventure was born on the night he spoke at FEAT in 2011 where Paul met another one of the speakers (Canadian adventurer Kevin Vallely). What started as a casual coffee meeting after the event has now become their biggest adventure challenge to date. In July 2013, along with their 2 team mates (Frank Wolf and Denis Barnett), they will attempt to become the first people ever to cross the infamous North West Passage on human power alone in a single season – www.thelastfirst.com. When on dry land, Paul is a personal coach and speaker who works with people to help them live the life they really want. This was our third time at FEAT and we will be back again next year! The show is always entertaining, inspirational and the speakers fascinating. Keep up the good work!